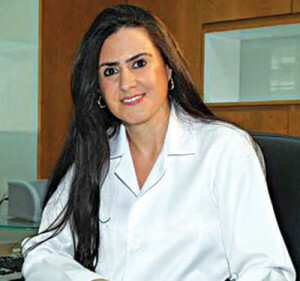 Dr. Hanann Marafie is considered to be one of the leading dermatologist and cosmetic dermatologist in Kingdom of Bahrain. With over 20 years of experience within the industry she is well known for introducing many of the latest and most advanced technologies to Bahrain. Dr. Marafie opened Marafie Clinic in 2005, the very first clinic to be opened in Seef district. After 5 years in Seef District she moved to Dream Tower, Near Dana mall with two floors, more space and excellent facilities, privacy and top-of the-line treatment for the patients which is one of the best in Bahrain. Within short time of opening in Sanabis, another branch was opened in Busaiteen, near King Hamad Hospital due to the demand for her service in the area. A specialist in the field of Dermatology and Venerology from institutes in England and Cairo, Dr. Marafie went on to study aesthetic medicine in US. She later studied healthcare management in RCSI, Bahrain. Dr. Hanann Marafie offers skin care treatments amongst the best in the Kingdom. The clinic provides both aesthetic and skin condition treatments.